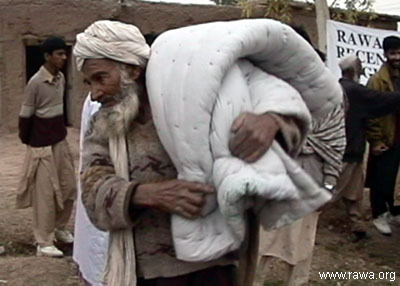 On February 22, RAWA distributed more than 1000 quilts among new refugees in Jallozi camp. 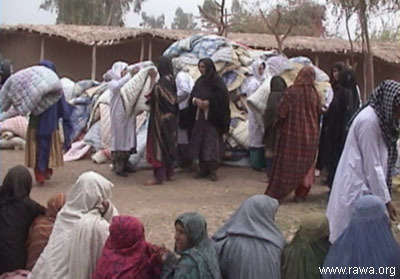 The quilts were distributed mostly to women while a mob of thousands of people were trying to get quilts. 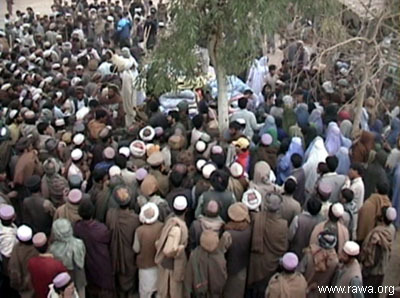 RAWA activists also interviewed some widows who were describing their horrible stories. 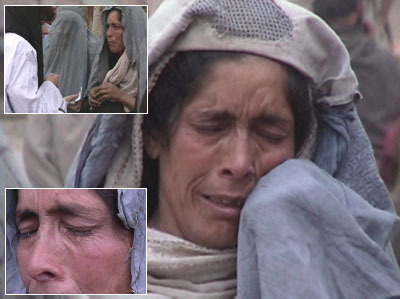 An Afghan widow cries while she describes her sorrowful stories to a RAWA activist. 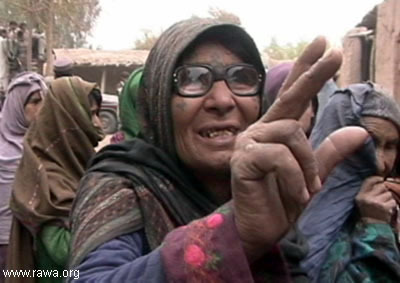 She lives with her 5 children in the camp and has turned to beggary in order to feed them. One of her sons is disabled. 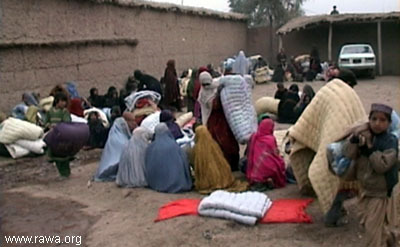 She says that they were forced to immigrate to Pakistan due to heavy fighting in Charikar district of Parwan province in northern Afghanistan. 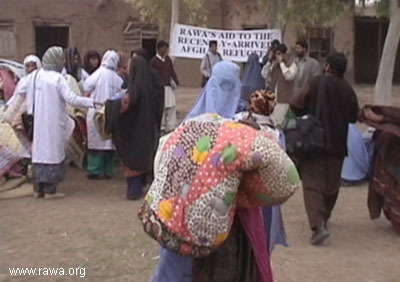 She says that this is the first time that they have received aid since having come to Pakistan a month ago.